GOODLETTSVILLE, Tenn. — Todd Vasos has been named to succeed Rick Dreiling as chief executive officer of Dollar General Corp. The dollar store chain said Thursday that Vasos, currently chief operating officer, also has been elected to the company’s board. He is slated to take the reins as CEO on June 3. Dreiling, who’s also chairman, had announced last June that he planned to retire on May 30, 2015. However, in August 2014, when Dollar General made a bid to acquire rival Family Dollar Stores Inc. — which had only weeks earlier agreed to be acquired by Dollar Tree Inc. — Dreiling announced that he would stay on as CEO of the combined company through May 2016. Dollar Tree eventually prevailed in the ensuing battle to acquire Family Dollar. Plans call for Dreiling, who has been Dollar General’s CEO since January 2008, to remain on the company’s board for the remainder of his term and serve as senior adviser and chairman until Jan. 29, 2016. The election of Vasos to the board increases the total number of directors to nine. He joined Dollar General in December 2008 as executive vice president, division president and chief merchandising officer and was promoted to COO in November 2013. Vasos came to Dollar General from the drug store sector. He previously was at Longs Drug Stores Corp. for seven years, serving as executive vice president and COO from February 2008 to November 2008 and as senior vice president and chief merchandising officer from 2001 to 2008. He also previously held leadership positions at Phar-Mor Food and Drug Inc. and Eckerd Corp. 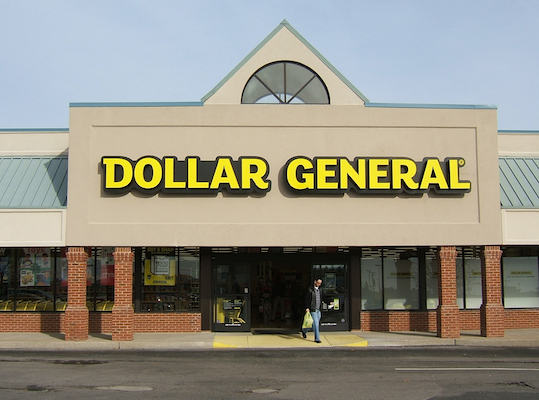 Overall, Dollar General operates 11,999 stores in 43 states.